If you are looking for some high quality betting advice, then you can now follow several outstanding tipsters with a Smart Betting Club membership. This includes the unbelievably good racing tipster up 152.36 points profit (from 1 pt single stakes) over the course of 482 tips at a ROI of 31.6% PLUS the multi-sport guru who has made over 200 points profit at 23.9% since August 2015. Access to both of these tipsters and several more is provided via our very popular tipping forum and special email lists – available now to all Smart Betting Club members. 1. Oddsbeater Racing: These exceptionally popular racing tips are making huge waves at the moment due to the profits being made on a regular basis. Since the 18th January, Oddsbeater have been sharing all of their racing advice for free on the forum and are up 152.36 points profit (31.6% ROI) from 482 tips advised so far. All tips are posted between Midday and 1.30pm each day and to very achievable bookmaker prices! This is no fluke either as they have a fantastic pedigree with a 1198 point profit and 24.5% ROI dating back to October 2014 from over 4893 tips in total. 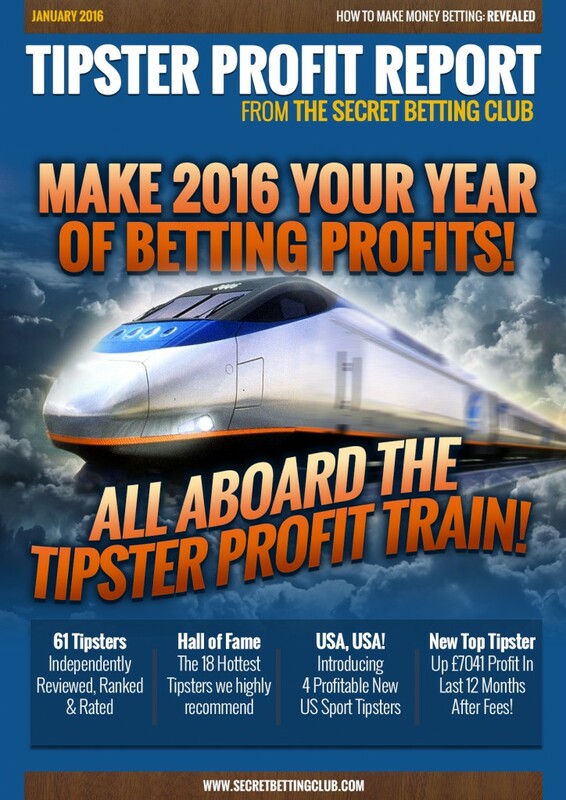 As an SBC member you can pick up ALL of Oddsbeater’s tips FREE via access to the SBC Forum until April 23rd 2016. 2. Sporting Interest: Since the 1st August 2015, this outstanding tipster has been bashing the bookies making 201 points profit at a whopping 23.9% ROI from over 700 tips! His expertise lies across the board with regular tips on Horse Racing, Football & Golf for you to follow. 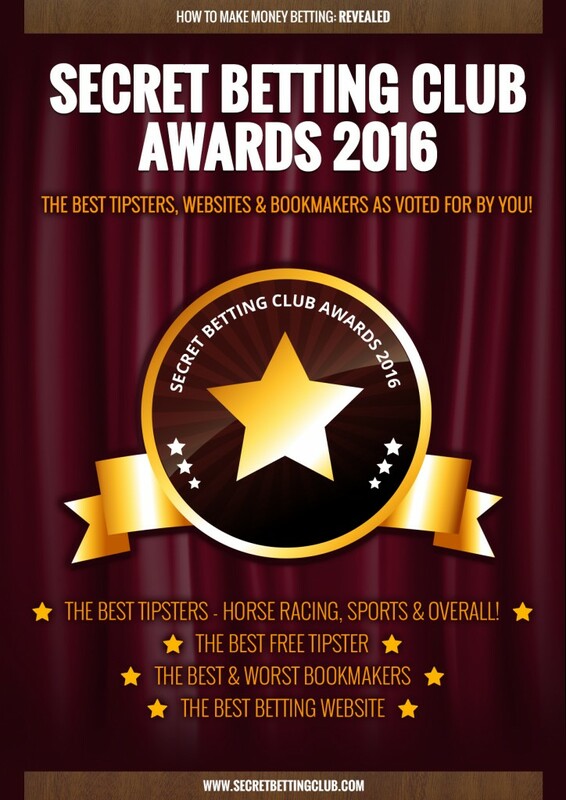 As an SBC member you can pick up ALL Sporting Interest’s tips FREE via access to the SBC Forum until July 31st 2016. 3. Paceman’s ‘Short But Sweet’ Favourites: Another very popular racing tipster is Paceman and his ‘Short but Sweet’ favourite tipping thread. Over the course of 218 tips since June 2015, he has picked up a profit of 42.28 points at a ROI of 19.4% with a strike-rate of 46% and all from bets at around 3/1 and under. Who says you can’t make a profit backing favourites!!? 4. Chris Patti Racing Tips: The second placed contestant in our ‘Britain’s Got Tipsters’ racing contest was the Betfair SP tipster Chris Patti, who made 61.5 pts profit at a ridiculously good ROI of 46.24% during the course of the competition. All bets are advised at Betfair SP so are very easy to follow indeed! All 4 of the tipsters mentioned above are now available to follow with a Smart Betting Club subscription – which provides you with access to our members-only forum where they post their tips. So, if you are looking to get started betting with tipsters and don’t want to splash the cash on expensive subscriptions, why not consider following some of these free tipsters as part of your Smart Betting Club membership? Best of all, you can now sign-up totally risk-free thanks to our 30-day money back guarantee, which ensures if you find our service (and these free tipsters) not for you, then you can get a full refund. Meaning you have everything to gain and nothing to lose from joining our exclusive club! 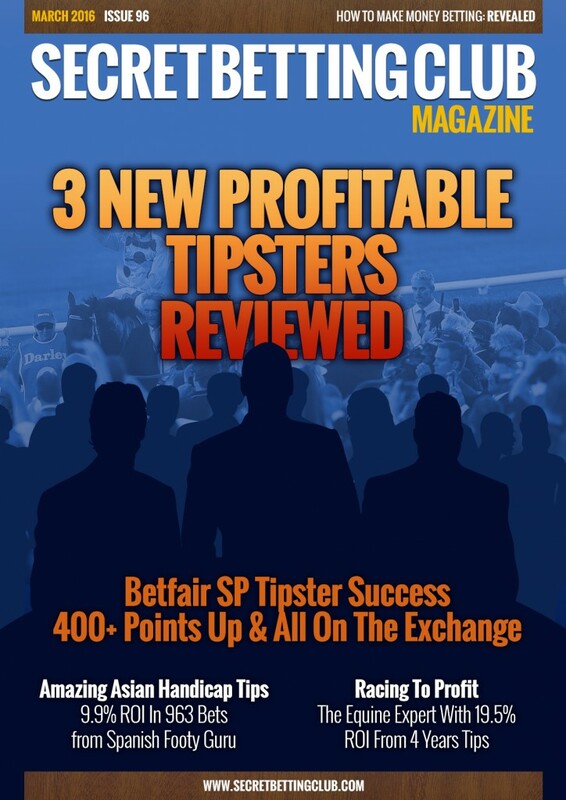 The latest Smart Betting Club Magazine is out now and features in-depth reviews of 3 profitable tipsters you simply must check out. The Betfair SP Profitable Tipster up over 400 points profit at 11.6% ROI! The Amazing Asian Handicap Expert with 9.9% ROI from 963 bets on Spanish football. The big-priced racing guru with 19.5% ROI from 4 years top tipping. AND…How you can enjoy significant savings on the cost of joining each of these 3 tipsters. 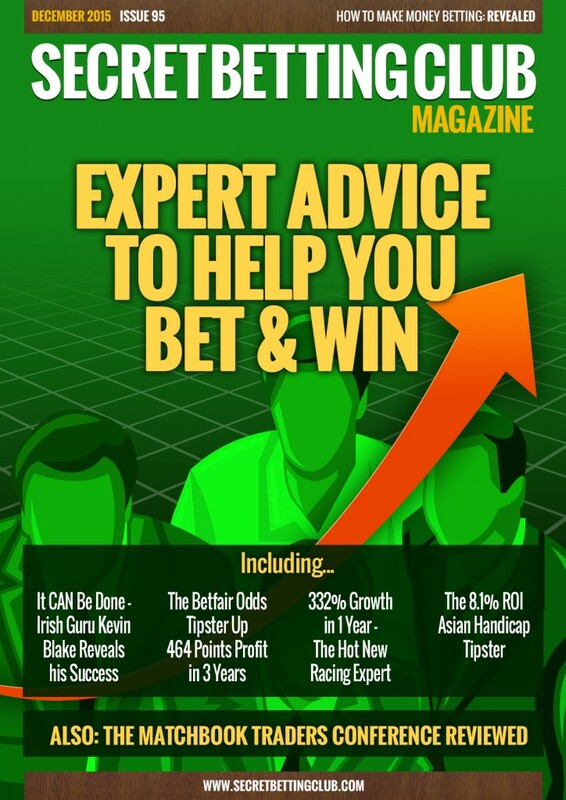 Alongside Issue 96, as a Gold or Platinum Smart Betting Club subscriber, you can also gain access to our 10 year back catalogue of expert tipster reviews, interviews and strategies. And all from the only 100% independent tipster source! Yes, that’s right as whilst all other review sites use affiliate links or make money referring sales to the tipsters, all SBC tipster reviews and ratings are 100% independent and affiliate-free! So when we say a tipster is good it is because it genuinely is and not because we will make money by saying so. This year at Cheltenham Festival, make sure you check out the very low 2% commission rate being offered by the betting exchange, Smarkets. Smarkets offer a full set of Cheltenham markets with ever improving volume being traded so you can often get great value odds at a very low commission rate. You pay a simple 2% rate on all winning bets – compared to the standard 5% being charged by their rivals Betfair for all new accounts. And as a special offer – throughout Cheltenham Festival you can also win the chance to get your commission back (check out the details on this offer below). I use Smarkets myself as do many Smart Betting Club members and their exchange is becoming increasingly popular for many shrewd gamblers looking to improve the profits they make. All new Smarkets accounts also are eligible for a free £10 bet after you deposit £20 or more. Open a new Smarkets account today. Smarkets will be offering customers not only their industry low commission rate of 2%, but also the chance to win back the commission they’ve paid over the four days of racing at Cheltenham. For every £10 you bet with them, you will gain an entry into a special prize draw to get back any commission on bets placed during Cheltenham. 10 winners will be drawn every hour between 10am and 5pm each day of the festival. The Smart Betting Club have teamed up with online bet portfolio tracker Bettin.gs to offer all SBC members 3 months free access to the exclusive Bettin.gs Pro service (worth $9 a month). Bettin.gs is an online tool that helps you manage your betting portfolio. It helps you track your bets and progress and see where you are making the most money and where you could improve. It shows you stats per sport, tipster, odds interval, bookie, tags and more in numbers as well as beautiful, usable graphs that make it easy for you to analyze your bets. Bettin.gs also lets you share your bets to Twitter and Facebook easily and you can integrate your stats with your own blog or website. You can read more about how it all works over at Bettin.gs. All SBC members are now eligible for 3 free months access to a Bettin.gs Pro account, which provides a whole lost of extra features, faster support and is totally ad-free. Sign-up for either a Silver, Gold or Platinum Smart Betting Club membership today and claim your 3 free months access to the Bettin.gs Pro service. If you are looking for a top performing racing tipster then you really don’t need to look much further than the Oddsbeatertips service, which has been firing in a string of winners lately at big prices. Yesterday alone, they tipped up 11 bets and bagged significant winners at 12/1, 11/1 and 9/4 to round off February in style. All told, throughout the whole of February they put up 195 tips, making a 52.66 point profit – which equates to a 27% ROI. This is no fluke either as long-term this service has made a whopping 1145 point profit from 4716 bets since October 2014 – all at an ROI of 24%. They know their stuff and continue to make mincemeat out of the bookies! The great news is that all Oddsbeatertips selections have been posted on the Smart Betting Club Forum since the 18th January 2016 – so many SBC members have been following their tips day-in, day-out and profiting from their advice. …And if you are interested in following this service – you can also do so with an SBC membership as they have agreed to share all their tips for free on the Forum until the 23rd April 2016. All you need to access their tips is a Silver, Gold or Platinum SBC subscription – which provides full access to our Forum and all of the tipsters, such as Oddsbeatertips who share their tips on it. Meaning you can sign-up today and get started following them straight away! Oddsbeatertips are attracting a lot of attention not just for their tipping performance but for how fair and easy their service is to follow. Selecting an average of 5 to 10 tips every weekday, they are posted like clockwork between midday and 1.30pm – at a time when bookies are less ‘price sensitive’ and more likely to stand a bet. They also only settle winners based on the prices available from a select group of just 8 bookmakers – including the likes of Coral, Paddy Power & William Hill. Effectively meaning you can often beat the quoted odds by shopping around with other bookies and exchanges. All told, Oddsbeatertips are doing their very best to not just pick winners but also play fair by you – the punter. Make sure therefore you don’t miss out on their advice, which will be available to all SBC members until the 23rd April 2016. P.s. As I write this at 4.30pm on the 1st March, already this afternoon Oddsbeatertips have bagged a nice profit with winners at 15/8, 4/1 and 5/2 from their first 7 tips of the day. It looks like their good run of form is showing no sign of slowing day just yet!! As part of an extra special investigation, we have just released a new and unique report focusing on 5 free tipsters with a great track record of tipping success. After all – everyone loves a good free tipster and the 5 under our review microscope are genuine experts offering consistently excellent advice across a range of betting markets. Hence our special report investigating just what they offer! All told, the 5 experts advise bets in fields such as Political Betting (perfect for the upcoming US Election! ), Cricket, Golf, Snooker, Tennis, Cycling, French Football and reality shows like the X-Factor. They are all available to follow for free via one concise website and post regular updates complete with full descriptions on just what they have tipped and why. 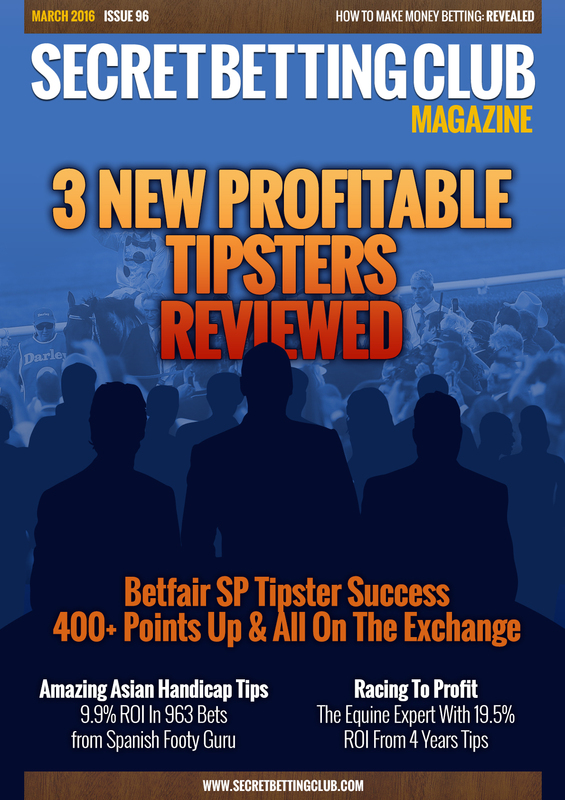 You can pick-up this special free tipster report the instant you become a Smart Betting Club member. Inside this unique report you can also read our interviews with each of the 5 free tipsters on their approach to tipping and the secrets behind their success. This was part of our quest to understand just how they make money betting, their favourite markets and just why SBC readers should consider following their advice in. You can also read about their track records in the markets they work in and just why we are recommending them to Smart Betting Club members. Perhaps best of all – each of the 5 expert tipsters are as yet not widely known by the vast majority of punters so it’s a great opportunity to get in ahead of the crowd and start to benefit from their advice. So if you are interested in finding out more about these 5 free tipsters, make sure you check out this special report available now to all SBC members.